We might just know of another location to add to the growing list of filming sites for Episode VII. 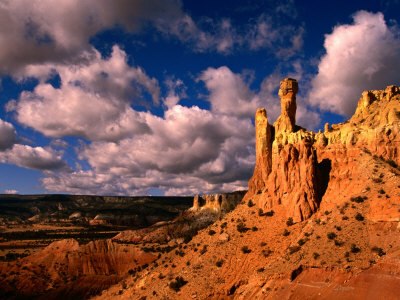 OneHeadlightInk.com is reporting that the state of New Mexico is being considered by Disney and Lucasfilm as a possible filming location for Episode VII, which is reportedly going in front of Cameras early next year. New Mexico has been infamous for decades for the mysterious Roswell UFO indecent, could the state soon be home to another 'out of this world' event? One Headlight Ink also points out that some recent Disney films such as The Avengers and The Lone Ranger were also filmed in New Mexico. As always, take this report with a grain of salt. It's not official until Lucasfilm says so. So, could this mean a possible return to Tatooine in the upcoming film, or could the scenery in New Mexico represent a brand new planet? Well if they want to film where that cool picture was taken then they need to come to AZ. That is Monument Valley. It is in AZ and not NM.